Author’s note: I actually tried writing today’s post as a poem but it insisted on coming out as a full-prose article. I guess sometimes reaction poetry can be reaction blogging. Also, I haven’t been posting very often in the last couple months because life, but I have been writing poetry and will be posting more often for all you lovely people. Relationships between vastly different characters can be fascinating both to read (or watch) and to create. Genres, Sci-fi and fantasy especially, offer authors tremendous opportunities to peel back usually unbreakable norms to explore them in greater depth. One example of this is having characters who, for whatever reason, don’t look their age. Immortal children, androids, and vampires all allow the author to delve into relationships that, in our world, would never happen. Two movies that do this are Twilight, the hugely popular book series turned movie saga, and Tomorrowland, Disney’s recent Sci-fi adventure about an alternate and futuristic world. Twilight matches a teenage girl, Bella, with a 100+-year-old vampire, Edward. Tomorrowland, on the other hand, is not a love story but does include the story of a fifty-ish Frank reuniting with Athena, an unaging robotic girl he met as a child, twenty five years after they last saw one another. Though the two stories are very different in tone and scope, one way to put them on a level playing field is to remove the sci-fi visual filter. Imagine the characters, not as they’re portrayed, but as who they are in relation to their time spent on Earth. If you imagine replacing the child actor, Raffey Cassidy, with a battle-weary Sigourney Weaver or Cybill Shepherd, her reunion scene with George Clooney would still ring true. Replace Kristen Stewart in your mind with a more age appropriate actor like Dakota Fanning or Abigail Breslin. Got her? Great, now imagine her in a romantic scene with Kirk Douglas. 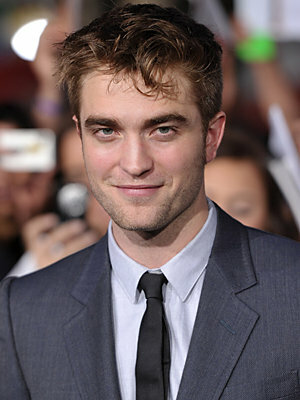 While Stewart and Robert Pattinson are roughly the same age, the characters they portray are nearly a century apart. No matter how much fantasy fix-it goo you throw at the story, there’s no getting around the fact that this is an old man in a relationship with an underage girl. In order to make the relationship feel at least genuine enough for movie goers, one or both characters have to not act their age. Either the man who has seen a hundred summers has to act like an angst-ridden teenager or the girl who is just beginning her life has to have maturity beyond her years. Since a mature woman would realize this was a predatory relationship, the story goes with the first option. On the other hand, the relationship between Athena and Frank is much more identifiable. Though the movie doesn’t specify how long Athena has been around, and being a “robot” makes age complicated, her relative maturity level is shown to only start advancing after she meets Frank. For practical purposes she is slightly older than him. They’ve been apart for a quarter century and are brought together by a common cause and a ticking clock. As such, their relationship is now more of a comrade-in-arms deal than a romantic one. But the familiarity of an old attraction is there as well. Even amid frustration-fueled verbal spats that would give an old married couple a run for their money, they demonstrate seamless teamwork while under pressure. Their witty banter, meaningful looks, and silent apologies uphold this picture of equals—despite the fact that they are played by a 12-year-old girl and a 54-year-old man. The romantic aspect of the relationship is shown so subtly that there is no creepiness between Clooney and Cassidy. The most physical contact they have is when Frank carries Athena when she is damaged. So why, despite all this, was Twilight a huge box office hit—igniting fandoms, raking in millions and allowing for the creation of the rest of the Twilight saga—while Tomorrowland was both a critical and box office dud? The easy answer would be to say that it’s because fans of Twilight are vapid, lovesick teenagers ready to throw their money at anyone with a sparkly chest and brooding eyes—or because ambitious films like Tomorrowland require too much mental stretching for that same tasteless audience. But it’s much more complicated than that. For one thing, Twilight had a preexisting fan base, while Tomorrowland had to stand on its own merits. More than that, though, there’s actually a lot of good about Twilight. As much as we love to hate it, Twilight has some interesting ways to deal with common fantasy elements such as mind reading, future telling, pack minds, and ethics of immortality. The book can be a valuable tool for writers looking to include these elements. And whether or not you like the story content, the movie does a pretty good job of telling the story it set out to tell. In the video quoted at the beginning of this article, John Green, the author of The Fault in our Stars, goes more into depth about why it can be ok to like Twilight than can be covered here. And though there are great things about Tomorrowland, there is a reason many people who were prepared to love it wound up disappointed. It has some serious story problems. They’re complicated and spoilery enough to be saved for another article, but the general feel is that it really did have some sort of source material—an original story that made sense—and the movie Swiss- cheesed it. It is also a bit heavy-handed in its message and doesn’t quite know what to do with its villain. Possibly, the main reason Twilight did so much better is that it is about the relationship. Bella and Edward are the story. They are the whole point. A movie where Frank and Athena were the whole story might be good in its own right, but it wouldn’t be the epic, high minded invoker of wide-eyed curiosity that it set out to be. It wouldn’t be Tomorrowland. The relationships in Tomorrowland may not carry the weight of the story but they make it enjoyable. It’s worth watching for its ideas, however poorly developed, and more for the chemistry between George Clooney and his two young co-stars, Cassidy and the wonderful Britt Robertson. Hell, you could go just to hear Clooney talk. Though Twilight is a more streamlined love story, and a basically enjoyable fantasy, Tomorrowland has ambitions far beyond anything Twilight could imagine. It takes an impossible relationship and makes it not only palatable, but endearing. Even with all its problems it is, at its heart, a story with a mission—not to save the world, but to save the concept of optimism. While Twilight says little more than “girl needs boy,” Tomorrowland says “we can do better.” And that’s a message we need to hear a little bit more.